Hi guys/girls. 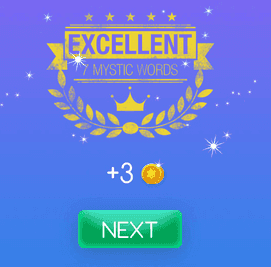 Welcome to Mystic Words Red level 33 answers. Remember to look only the answers to the clues you are blocked. There is no fun if you see all the answers before trying to solve them first. Red haired australian 5 letters answer, click here! Proving wrong 9 letters answer, click here! Acceptance of despair 9 letters answer, click here! Someone works on metal 11 letters answer, click here! To deprive by fraud 7 letters answer, click here! Without any roads, tracks, etc. 8 letters answer, click here! An acronym for 5 emerging economies 4 letters answer, click here!